Two geniuses. Two legends. Two of the greatest ever. Two geniuses. Two legends. 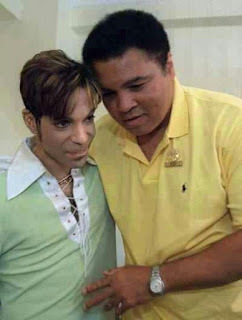 Two of the greatest ever. Two people that meant so much to so many... including me. The painful wound of losing one had not even begun to heal... and now this. Rest in peace brother Muhammad Ali. Rest in Peace brother Prince Rogers Nelson.